Why Your Small Business Needs a CRM? Nowadays, Salesforce, Oracle, Bitrix24, Microsoft Dynamics, and many more enterprises develop and deliver customer relationship management solutions to organizations ranging from SMEs to large scale firms. 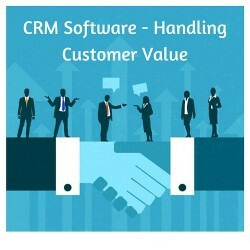 It doesn’t mean CRM software companies will cater to the need of all organizations. For instance, some deployments that are applicable to health care organizations but may not have features required for media sales professionals.